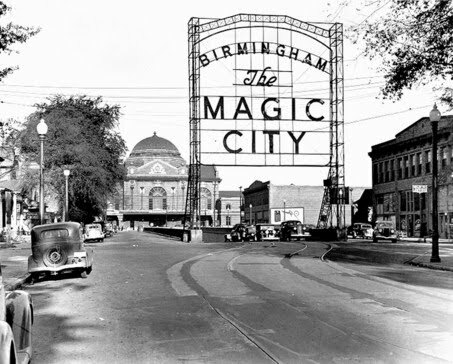 It's not surprising that The Birmingham News spiked a column about what the latest round of buyouts will mean for the newspaper -- and its readers. First off, no one likes to air the family's dirty laundry. Second, more and more newspapers nowadays have a policy of not reporting teen-age suicides for fear of prompting copycats. And to be sure, these are days when newspapers -- the News is just one amid a legion -- seemingly are being led by adolescents hell-bent on "showing the world" by doing themselves in. How else to explain an John Q. Editor's decision to, in effect, pull the beater into the garage, close the door and just sit there . . . for almost 30 years. Three decades. More than a generation of knowing what was coming down the pike -- what logically had to come down the pike -- and knowing that if he sat in the car, in the closed garage, for long enough, he and everybody else in the car eventually would leave in a hearse. Perhaps what's happening to the newspaper industry is just a "cry for help." But to qualify as a cry for help, it seems to me that you can't keep hanging up the phone every time somebody tries to call 911. IN THAT CASE, maybe it's more instructive to show, before the exhaust fumes have finished their deadly work, what will happen to the loved ones. What is happening to the would-be suicide's innocent friends, passed out drunk in the back seat. Maybe knowledge, in this case, indeed would be power. Maybe someone would check the garage. Maybe the next angst-filled teen would think twice before "showing the world." That, I think, is what Birmingham News columnist John Archibald was trying to do. Maybe it was a cautionary tale. Maybe it was something more urgent, like a call to 911. Whatever the case, Editor Tom Scarritt hung up the phone. I guess the management of the News, like all the rest of the pissed-off newspaper adolescents out there, would rather you find out what happened from the suicide note. In the ink-stained universe, this is known as the final edition, when the suicide gets to tell the world it used to be a contender. That "we had joy, we had fun, we had seasons in the sun. . . ."
BULLS***. The suicide never hurts just himself. The suicide is going to drive a stake through your heart, too. And you have a right to know. Here's John Archibald's column . . . before you get to read another suicide note from the mainstream media.